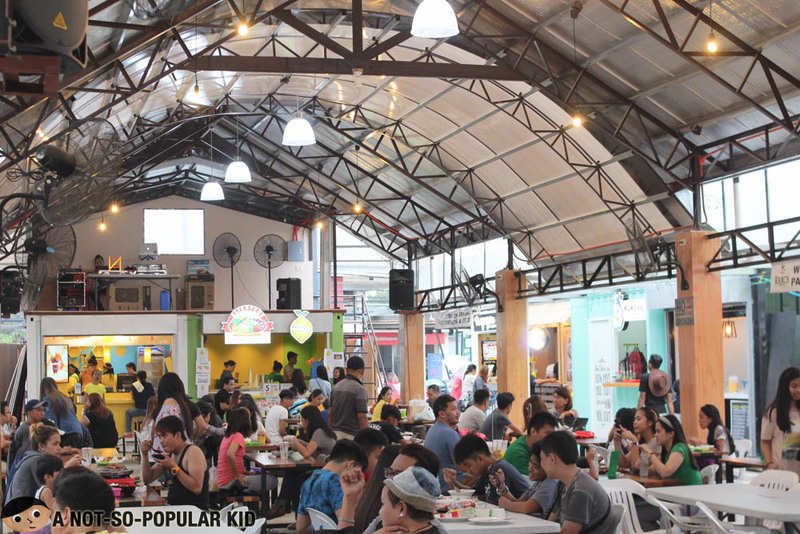 Food parks are starting to pop out everywhere. We constantly hear about new parks opening both in the north (e.g. Food Hive, Pitstop and etc.) and the south (e.g. Container Turf), but who would believe that the trend has reached a place beyond the metro -- Bulacan? 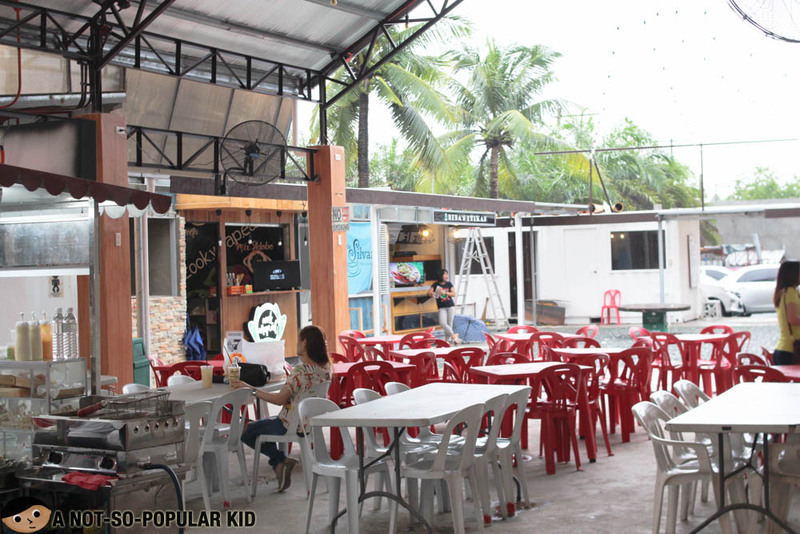 Yes, just this August 2017, The Ranch Food Park opened its doors to food enthusiasts, or more commonly known as foodies. 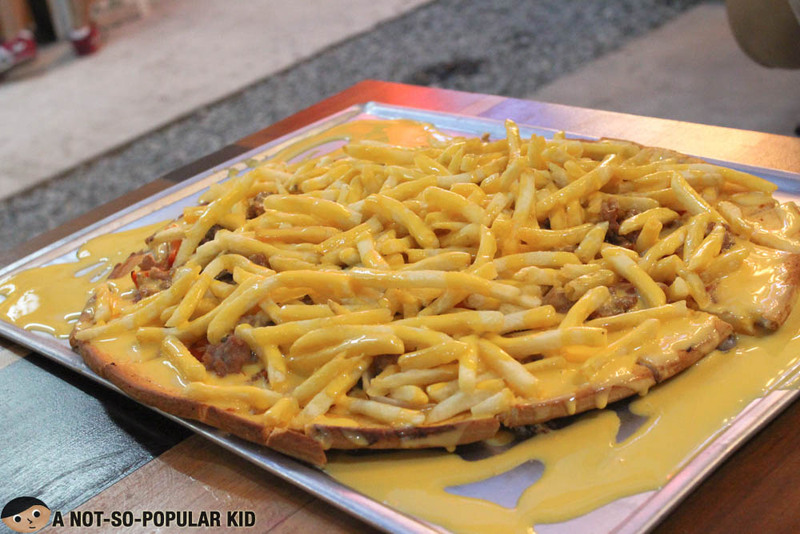 Bulaqueños and even those from other cities are thrilled to try out something new! Update 12/27/2018: Before you proceed, please note that The Ranch is no longer operating as a food park. Read at your own peril. The rise of a "food park"
Bulacan, more particularly Marilao, is where my mom grew up, and it's also where we usually spend our vacations. 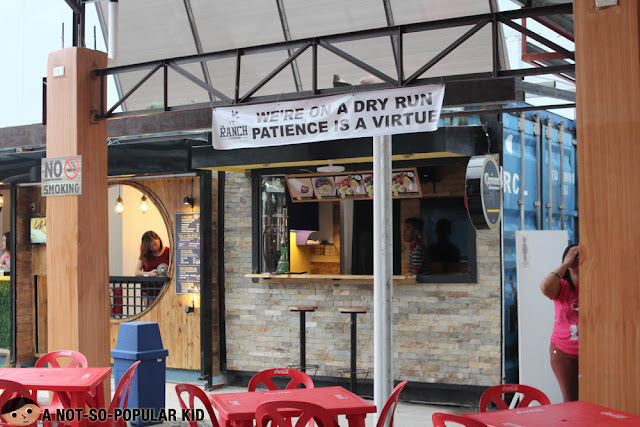 This is why I got thrilled over the news of a food park opening there, but what got me more excited was it's just a few walk from our home in Marilao. Hence, our family decided to give a visit during the long weekend. When we reached the place, I experienced a wave of mixed emotions, but ultimately my excitement somehow waned. 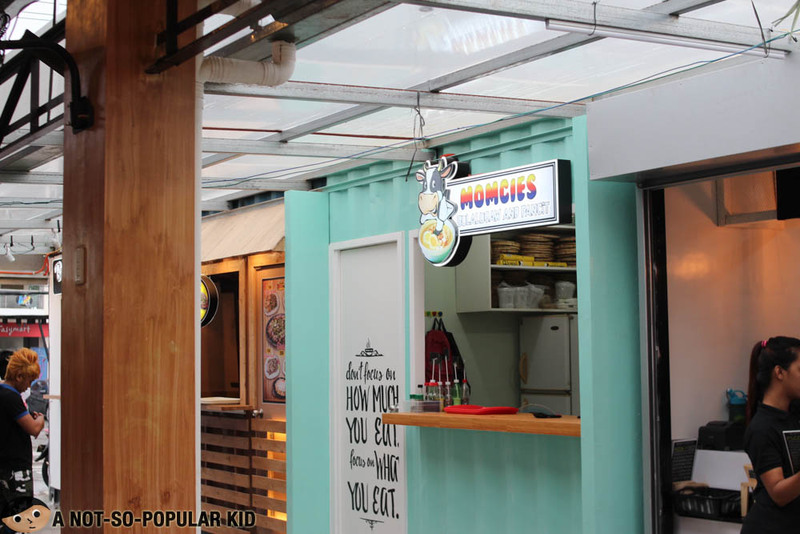 When I laid eyes on the interior, I realized that there is a thin line between a food court and a food park, and right now, The Ranch is on the crossroads. There are no clear criteria as to how a food park is defined, but to me, it's the manifestation of a strong concept that defines it. However, for The Ranch, the concept was easily blurred out. It doesn't make you feel like you are inside a "Ranch" yet. The good thing is, there is still a chance to see something exciting, since the park is still on a dry run. I surely hope that it blossoms as a park rather than a court. 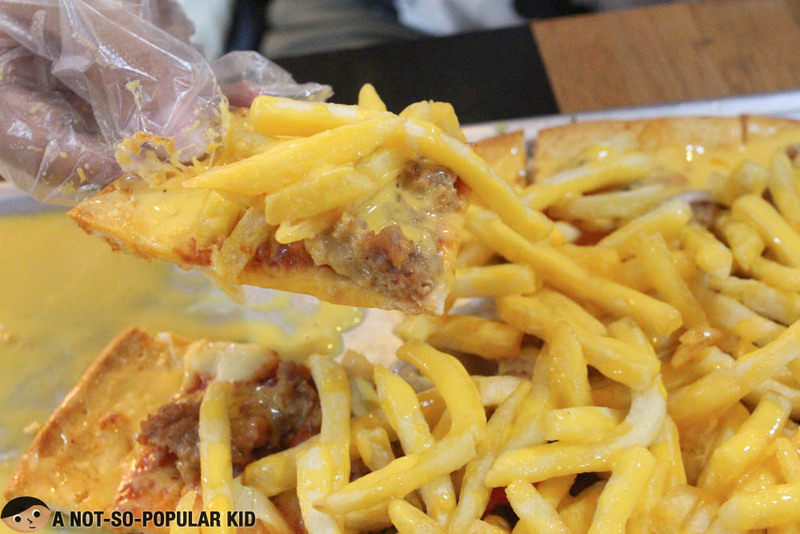 Year before, you still need to visit the mall just to find something interesting to eat. However, today, foodies have the option to just visit The Ranch and find variety of dishes. 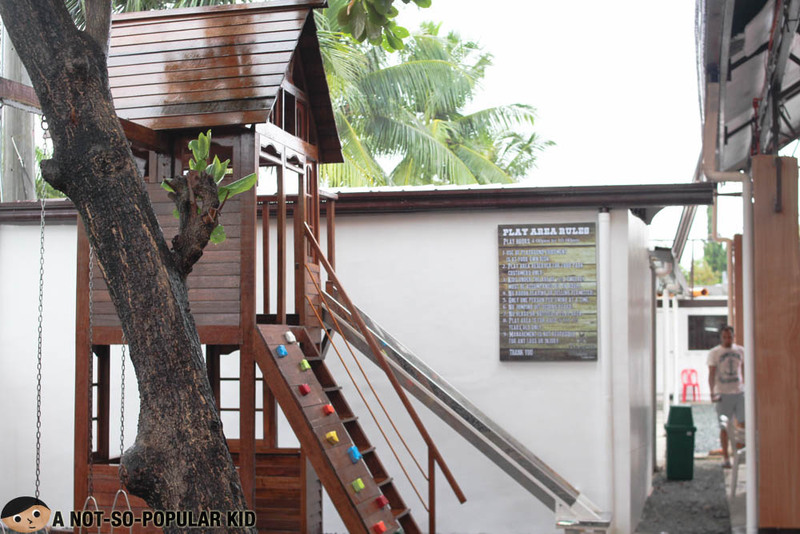 With this, the park instantly became a "tourist spot" for locals and even those from the Metro. Despite the possible shortcomings, this is still considered a major breakthrough for Bulacan. Note: The list may not complete since I wasn't able to fully take note of everything. 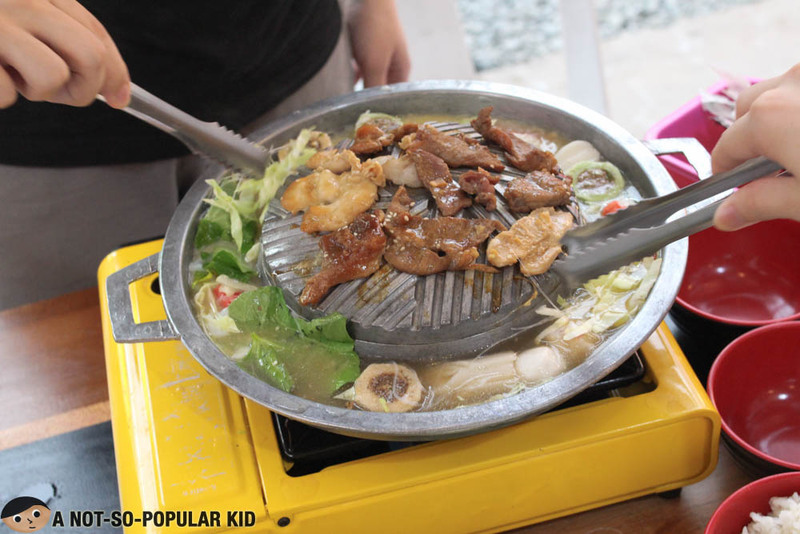 Aroi Mookata offers Thai barbecue which is quite similar with a Chinese hotpot with the barbecue as the main difference. We chose Set B (P348) that is good for 3-4 persons. You may check out the photos above to have an idea of the dish. They'll be the one to cook this for you, unless you insist to experience yourself. Crazzy Mezzy Pizza is one of the few stalls that has a unique concept. 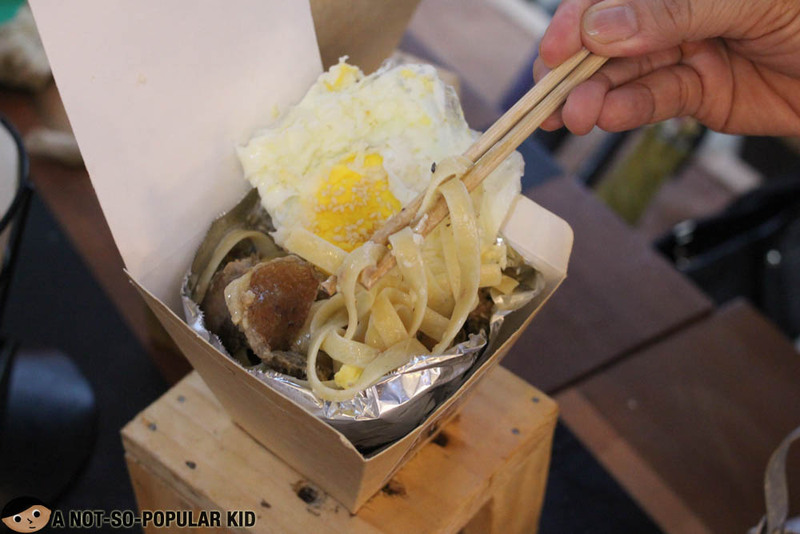 Pasta dishes are served in a cone-shaped container. The Aligue Pasta (P119) had this balanced seafood goodness that really tickled my taste buds. The Lechon Pasta (P119) had a nice concept, but it still needs to be refined in terms of its appearance and overall flavor. 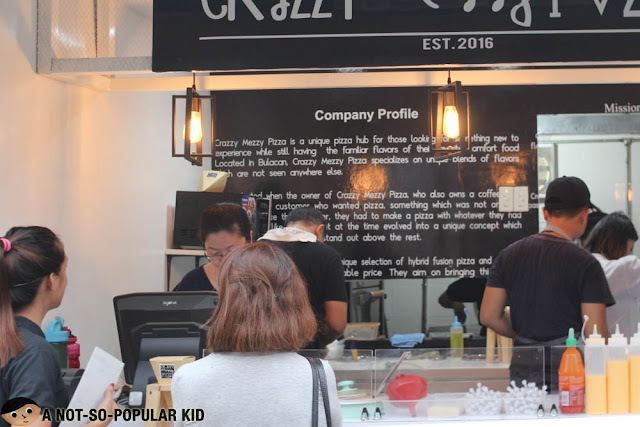 Aside from the pasta, Crazzy Mezzy Pizza is known for the "messy pizza" (as the name suggests), but the surprising thing is, they only cost P275. We chose the Squad Goals pizza and it had this interesting mixed of flavors -- sweetness from the pizza sauce and saltiness from the cheese sauce. It was fantastic. Highly recommended! 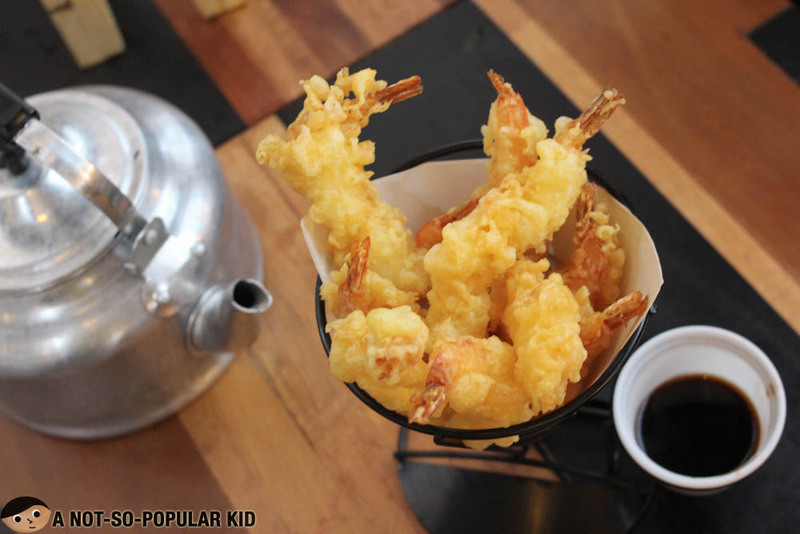 Torii Tempura may just be a cart in the midst of the bigger stalls but the 10-pcs Tempura (P249) was an ultimate underdog. The texture and appearance was somehow comparable to that of ordered in Japanese restaurants. Island Barbecue serves bbq in a very fascinating manner. 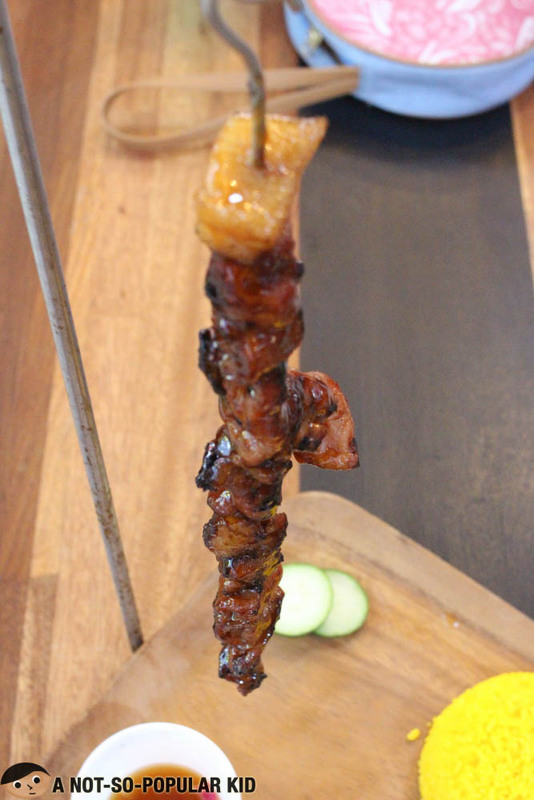 They skewers containing the meat are hooked and then served. 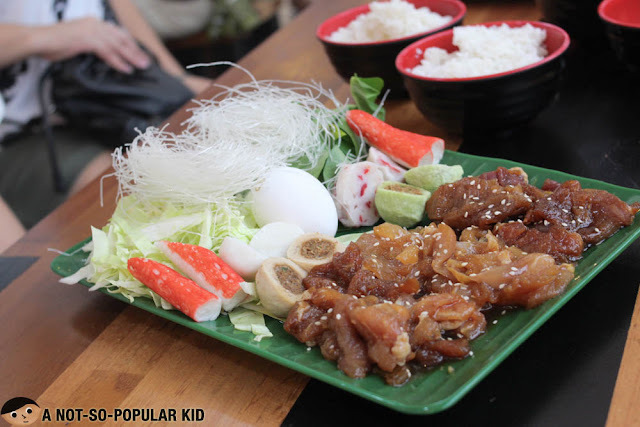 The 1-pc Pork Barbecue Meal (P125) featured bbq that was tender, juicy and sweet -- capturing what the traditional Filipino palate desires. 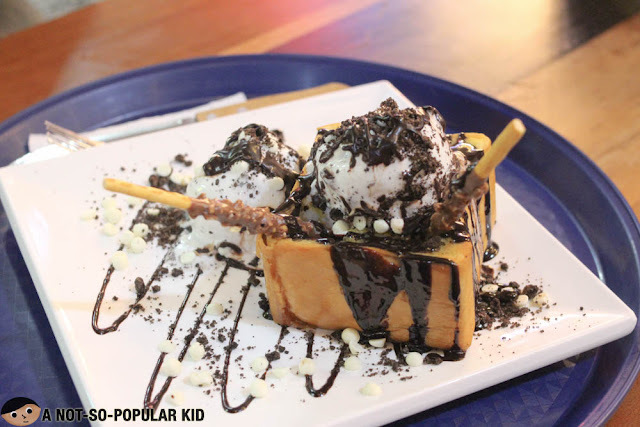 Cre'em en Ice offers non-traditional desserts that is Japanese-inspired. The Cookies and Cream Shibuya Toast (P175) was surprisingly excellent with its soft butter core. The ice cream and chocolate drizzles harmoniously blended with the toast allowing each bite to be really dreamy. It was a great finale! In the end, I am overall satisfied with The Ranch. It was able to meet the essentials, and I'm positive that there will be future improvements to make this stand out. 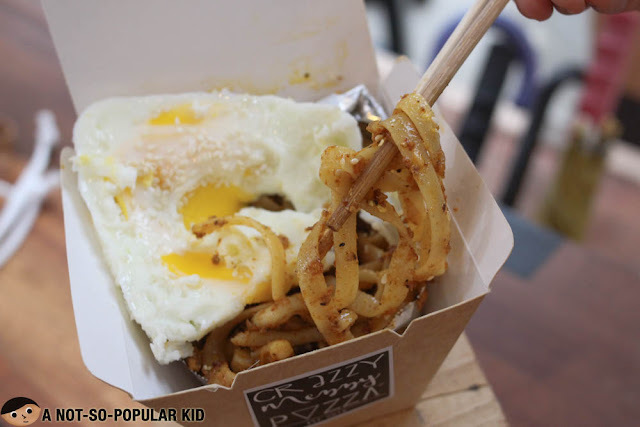 To all foodies out there, take a roadtrip to Bulacan, you now have a reason. 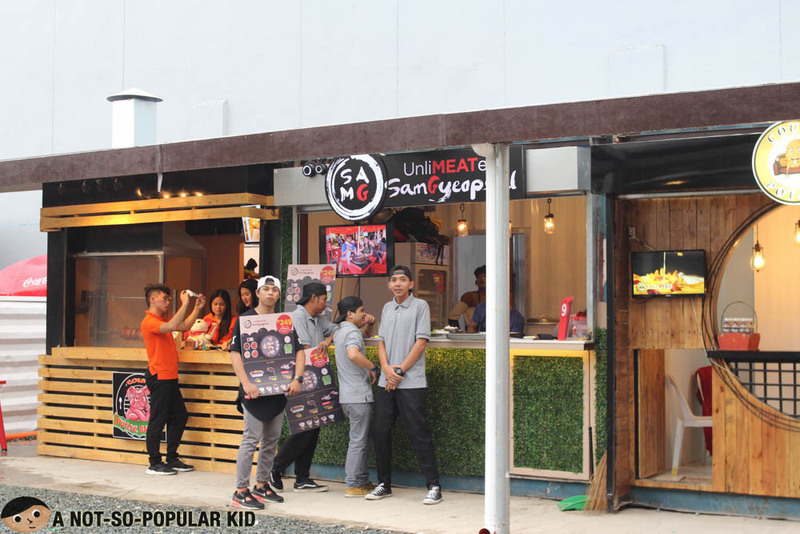 These are more than 20 stall you can enjoy here in The Ranch! 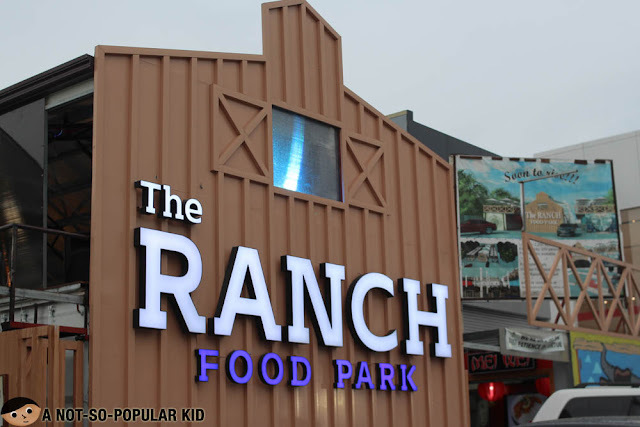 The Ranch Food Park is located along MacArthur Highway of Marilao, Bulacan. Landmarks for the park includes Nissan and Town & Country. The park is open from 4:00 PM to 12:00 MN Sunday to Thursday and until 1:00 AM on Friday and Saturday. 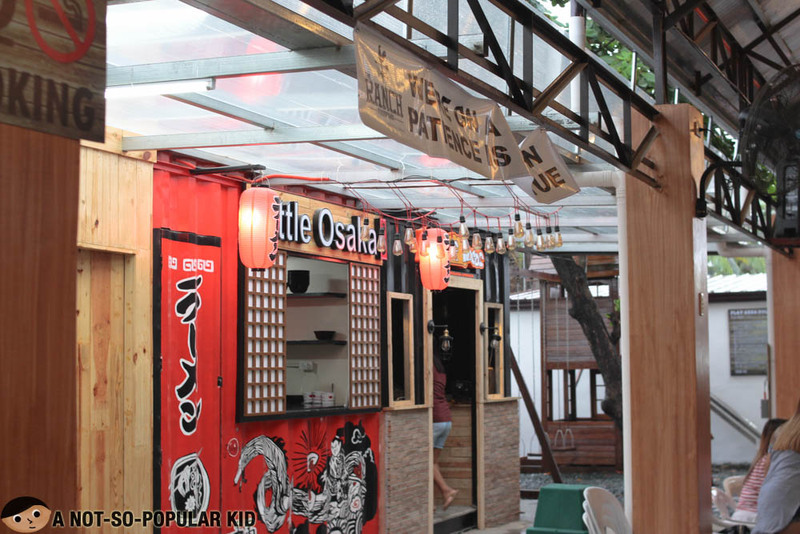 Check out the map below to navigate your way to this budding food park. What do you think of the food park? Please let us know your insights by commenting down below.